The National Bank of Commerce (NBC) appointed Mr. Edward Marks as the new Managing Director on May 7th 2015 with immediate effect. Mr. Edward Marks brings 27 years of work experience of various business functions, including co-head of Structured Finance, head of Barclays Marine Finance and Global Head of Corporate Jets and Super Yachts. Mr. Marks is coming from Barclays Egypt where he served as Managing Director since 2011 and where is credited for having led the bank through a difficult operating environment. Mr. Marks, said in a news conference in Dar Es Salaam that he would focus on system improvement and profitability to steer the bank to new heights in the competitive banking industry. He also mentioned that he was also keen to introduce new innovations in the electronic market and that he intends to maintain the bank’s upward trend seen in 2014 figures which are soon to be announced. Mr. Marks fills in the position that was being held by Mr. Pius Tibazarwa on interim basis for seven months. 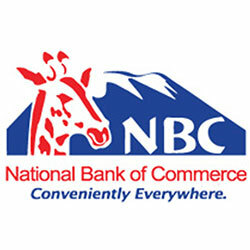 NBC is a leading retail bank in Tanzania with over 47 years of experience in providing financial services with an extended branch network of 52 branches and over 240 Visa enabled ATMs.